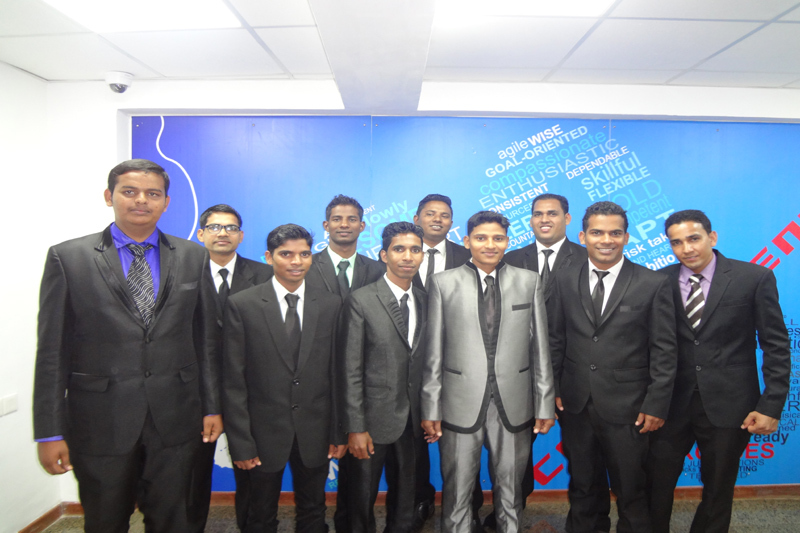 Congratulations to our ACCLA Students on clearing their interviews. Congratulations to all our ACCLA Students on Being selected for the Apollo Interviews held on the 29th & 30th of January 2018 and kick-starting their Cruise line Careers. And also all the best to them in their future endeavor’s. This entry was posted in Cruise Life, Cruise Placement, Cruise Ship Jobs, Success Stories and tagged #CruiseChef, accla, American College Of Culinary and Language Arts, Campus Interviews, Congratulations on January 31, 2018 by admin. 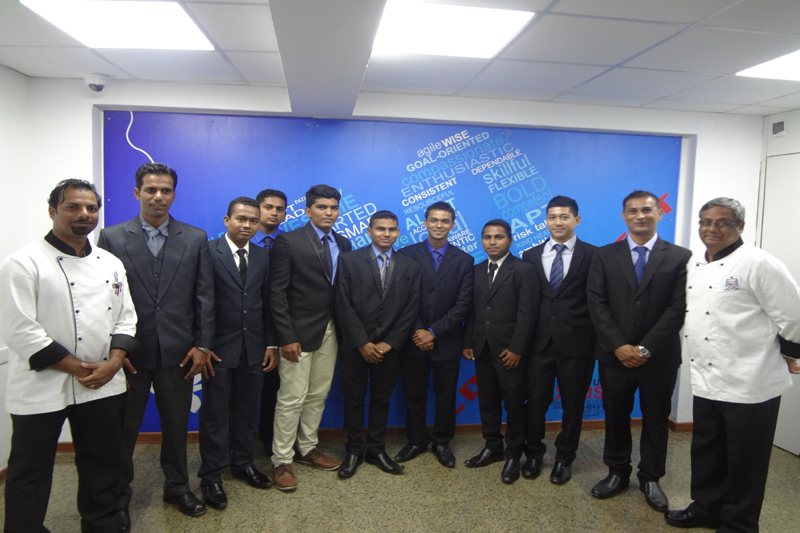 Campus interview was held on 16/11/2015 by Kamaxi Overseas Consultants to recruit students for Oceania, Regent Seven Seas and Thompson Cruises. This entry was posted in Cruise Placement on November 18, 2015 by admin. 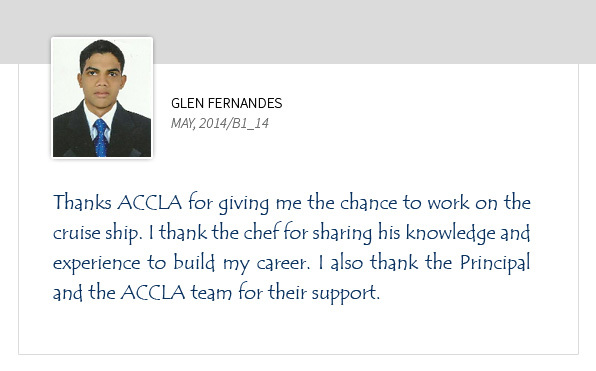 Testimonials from our successful students. This entry was posted in Chef Jobs, Cruise Placement, Cruise Ship Jobs, Hot Jobs, Success Stories on June 8, 2015 by admin. Congratulations!! They have been placed on Oceania Cruises, Thomson Cruises and Regent Seven Seas Cruise Ships. 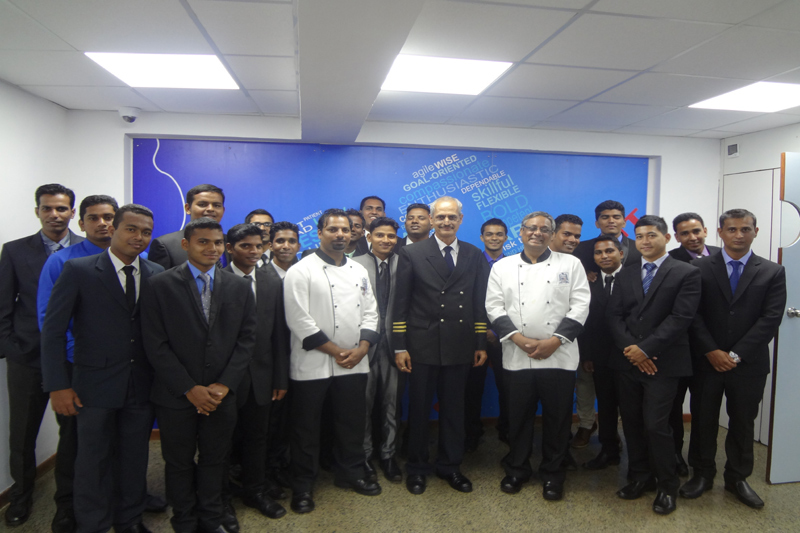 Our Executive Cruise Culinary Program 1st Batch students & Galley Utility 2nd & 3rd Batch Students selected on 02nd & 03rd February 2015 have been placed via the Recruitment Trip conducted by Kamaxi Overseas Consultants Goa. 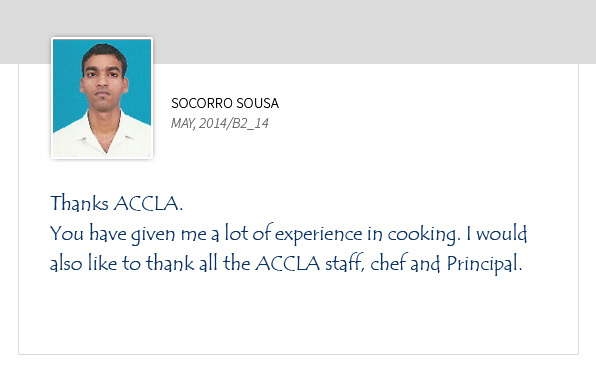 The client, was extremely pleased with the quality of candidates presented for interviews from ACCLA in the Goa office. 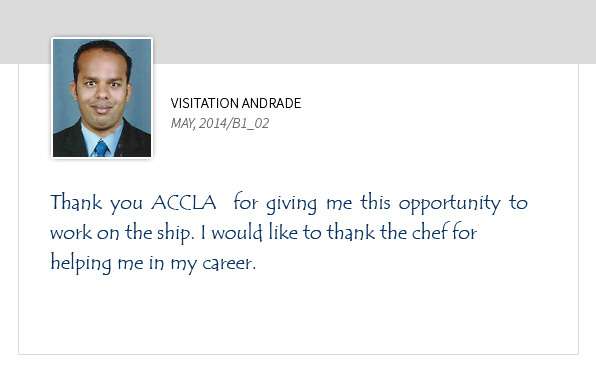 Congrats to the ACCLA Students! All the very best to all of you, Visitation, Manoj, Sujeet, Vishal, Sandesh, Glen, Laxmikant, Socorro, Job, Anthony, Josil, Sweat, Ancio, Josfon, Aashish, Meghashyam, Jonas, Arjun, Baptist, Vialli, Mustafa Shaikh, Stevan, Seby, Joseph, Melvin & Mustafa! Come join our extremely successful, Executive Cruise Culinary Program or Galley Utility Operations Program. Contact us for more details. 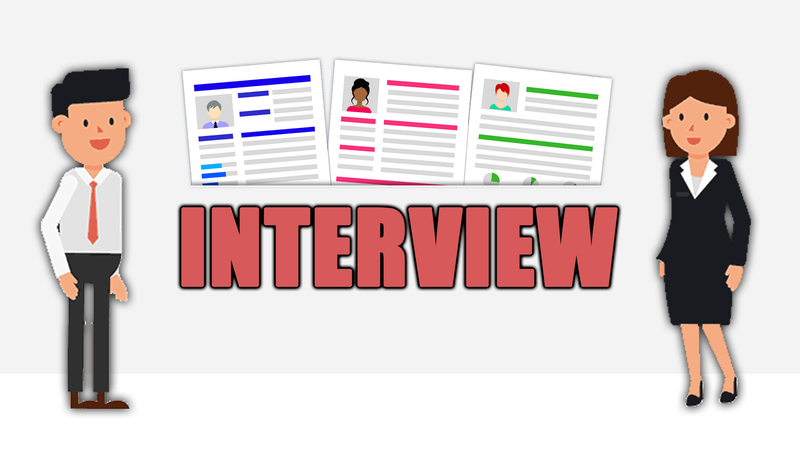 This entry was posted in Chef Jobs, Cruise Placement, Cruise Ship Jobs, Hot Jobs, Success Stories and tagged accla, American College Of Culinary & Language Arts, cruise placement, Cruise Ship Placement on February 13, 2015 by admin. Congratulations!! 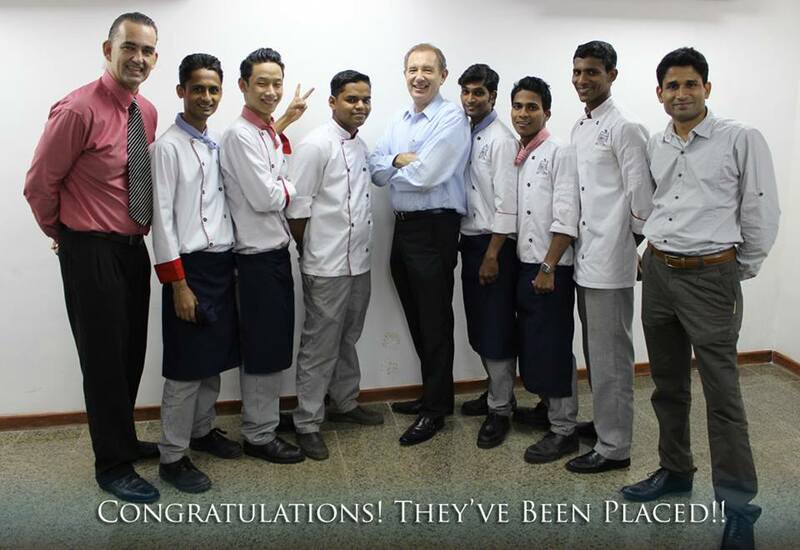 9 ACCLA students have been placed on Oceania Cruises and Regent Seven Seas Cruise Ships. 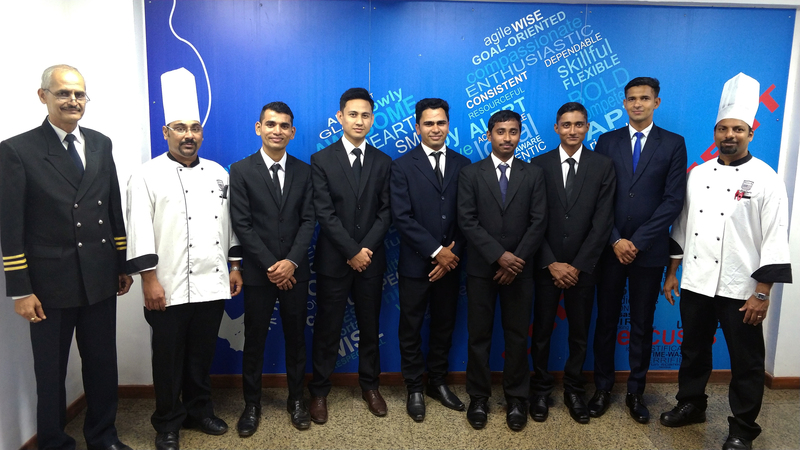 4 students from our Executive Cruise Culinary Program – 1st Batch & all 5 students from Galley Utility 1st Batch were selected on 24th November 2014 via the Recruitment Trip conducted by our sister company Kamaxi Overseas Consultants Goa. Congratulations to all the ACCLA selected students! 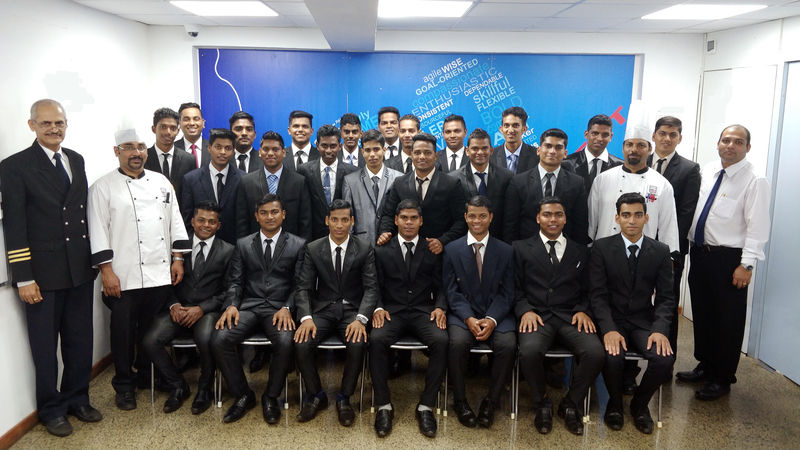 All the very best to, Conceicao Niasso, Freddy Pereira, Cashbal Rodrigues, Joseph Ignattius, Zico Dmello, Cajetano Sequeira, Rollan Fernandes, Sebastian Mascarenhas & Nereus Barbosa!